Be Choosy About Your Chocolate: Studies show that chocolate increases antioxidant levels in the blood and helps lower blood pressure. But when it comes to reaping those antioxidant benefits, quality matters most. 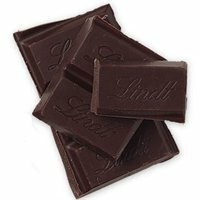 If you need a chocolate fix, treat yourself to a small square of dark chocolate—look for one that is 70 percent or more cocoa. Every day for American Heart Month, we’re posting a quick tip to help you eat for a healthier heart. Join the Healthy Hearts Club group for daily heart-healthy tips throughout the month of February.